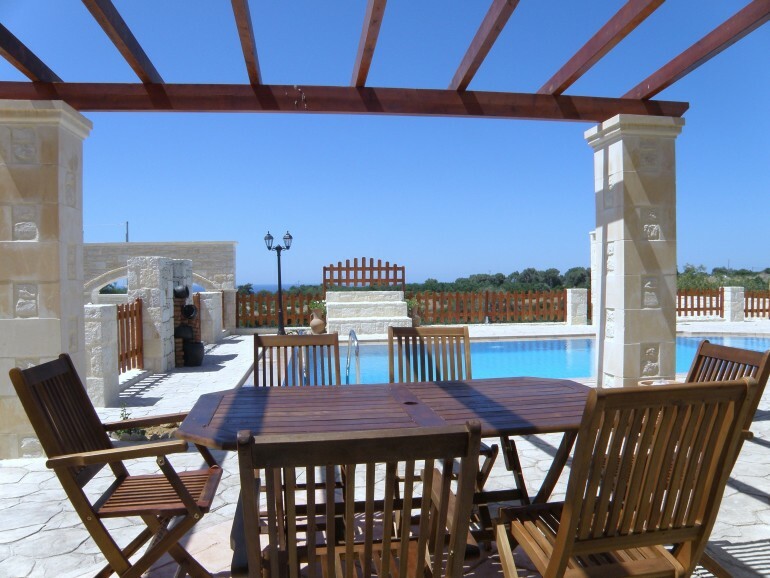 Holiday homes on Crete to let! Enjoy the Cretan sun and sea, mountains and beaches, Anatolian culture and lifestyle, all at once on holidays and without haste, independent, relaxing and happy! Rent a holiday home on the island of Crete! Isn’t that what you always wanted to experience? Set up a vacation at its finest in a comfortable holiday residence, exceptional, Mediterranean, air-conditioned, with large grounds, with swimming pool and sea views in beautiful surroundings. Here we do have privacy, and enjoy the tranquility of nature. Beach life, mountains, villages and towns, shopping and night life, everything is there for you and near. To meet these ambitious expectations, we have joint with our Cretan partners and developed criteria by which we judge the homes before we offer them to you. All holiday houses should have: 1st: a large plot, 2nd: a swimming pool, 3rd: sea views. And then there should be that little something that you can not explain, but which makes up the really relaxing holiday. The holiday homes on Crete – traditional or modern in style – must of course be solid furnished, have a modern fully equipped kitchen and be clean and well-groomed. © 2016 - 2018 ms marketing hellas Web Hosting & Design, All rights reserved.